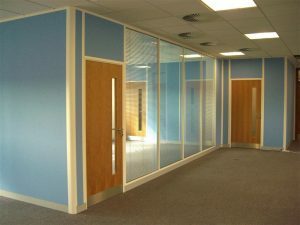 A drywall partition is a partition system composed of gypsum board and galvanised steel structure. The structure is a reticular system formed by channels and posts for the suspension of shaft walls and partitions of plasterboard. 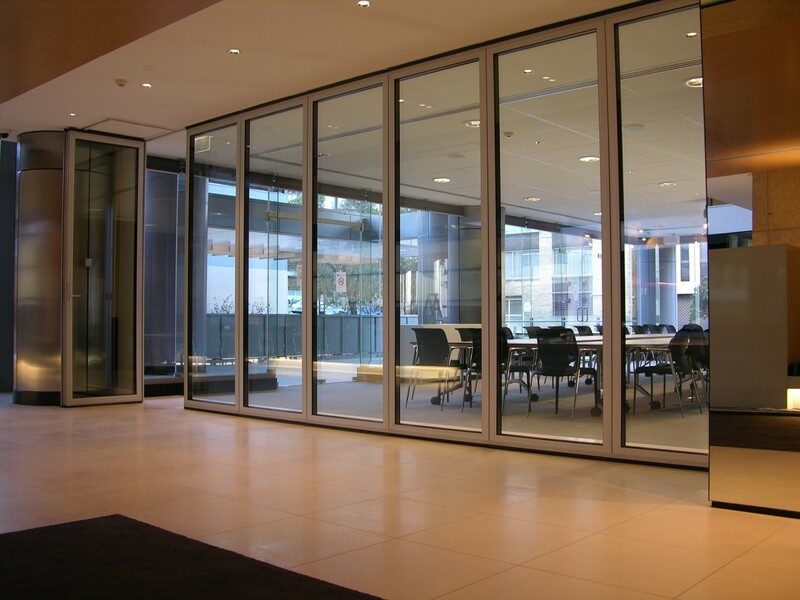 Partition systems can be composed of aluminium profiles, glass, laminated particle boards, doors and insulation. 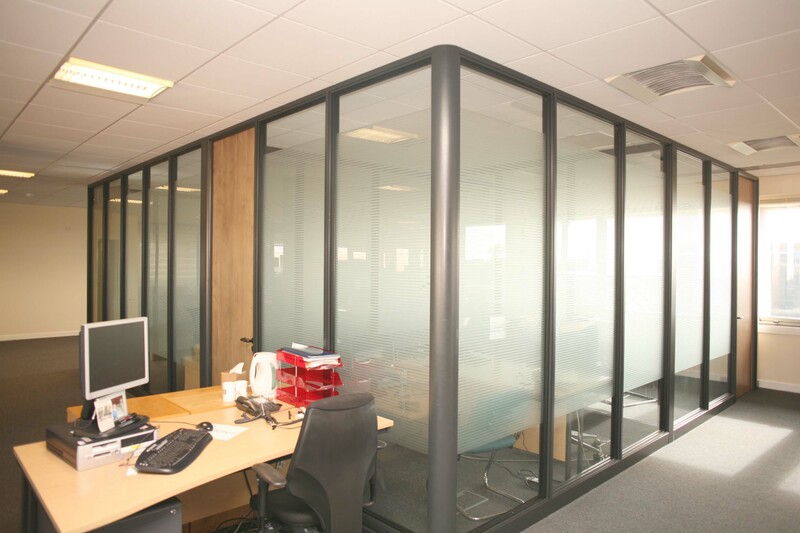 It is easy to install, good looking, and has an excellent acoustic attenuation. Partition systems can be fixed or removable. 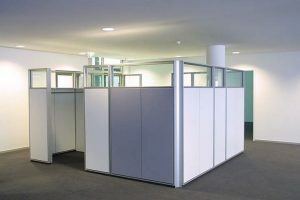 Because of removable partitions, an entire floor can be divided into various small offices, medium sized rooms, or big open spaces.